We offer a wide variety of fun and exciting entertainment for your Vancouver Christmas or Holiday party. 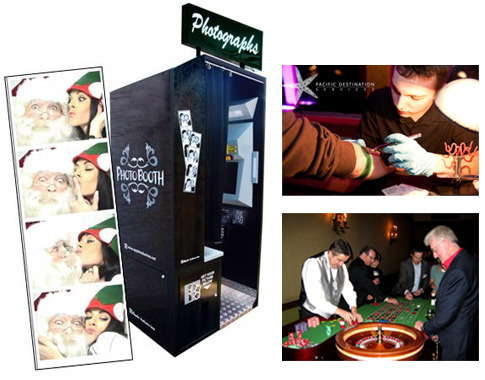 Some of our most popular and formal items include our Full-Service Casino Packages, Fully-Automated Photo Booths, Selfie Booth, CD Recording Studio, Juke Box, Caricaturists, Magicians & Hypnotists. We bring and set-up our entertainment and activities to your venue, allow your guests to enjoy the entertainment and have a fabulous time, and then dismantle and remove the items after your event. When booking with Houle Games, we are committed to providing you with an enjoyable and successful event! We recommend reserving your holiday party entertainment as soon as possible, as dates in November and December typically book up to 2-6 months in advance.